Three years ago my youngest son graduated from our home school, meaning that after 31 years of homeschooling our eight kids, I was officially done. Wow, does that make me feel old! 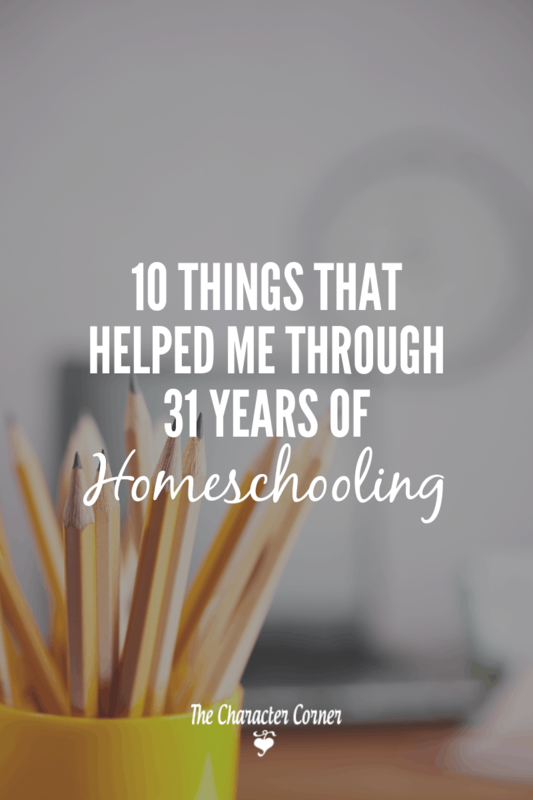 🙂 Many moms have asked me to share the things that helped me through 31 years of homeschooling. After thinking about it the last few days,I came up with a list of things that I heard or learned over the years that made me not only stick with it, but also helped me to finish strong. 1. Probably THE most important thing I heard in my first year of homeschooling was that CHARACTER TRAINING is more important than the academics. 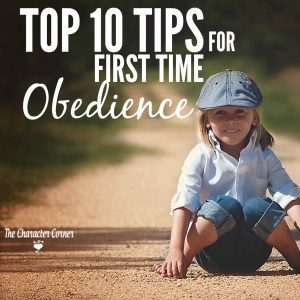 God says our first priority should be our kids’ faith – teaching them to love God, and to love His Word. Next should be their character, and then LAST on the list is the academics. Doing things God’s way always works best, and when we kept these priorities in order, God blessed the academic time. When I had a bad pregnancy, and remained faithful to Bible reading & memory with the kids, and a character lesson daily, often I was then unable to do the academics. But God blessed the little I could do because of my obedience, and the kids tested very well at the end of the year. RELATED: ARE YOU MISSING THE KEY INGREDIENT FOR ACADEMIC SUCCESS? Hearing that quote by Richard Fugate took SO MUCH stress off of me! Isn’t that a helpful thing to keep in mind when we have a child struggling to learn, “keep up”, or “catch up”?! 3. I realized that not all my kids learned the same way, or at the same speed. It was such a surprise to me when what worked for my first child didn’t work at all with the 2nd one, who learned in a totally different way. No one had ever told me that kids have different learning styles, and I certainly just thought they would all learn at the same speed. 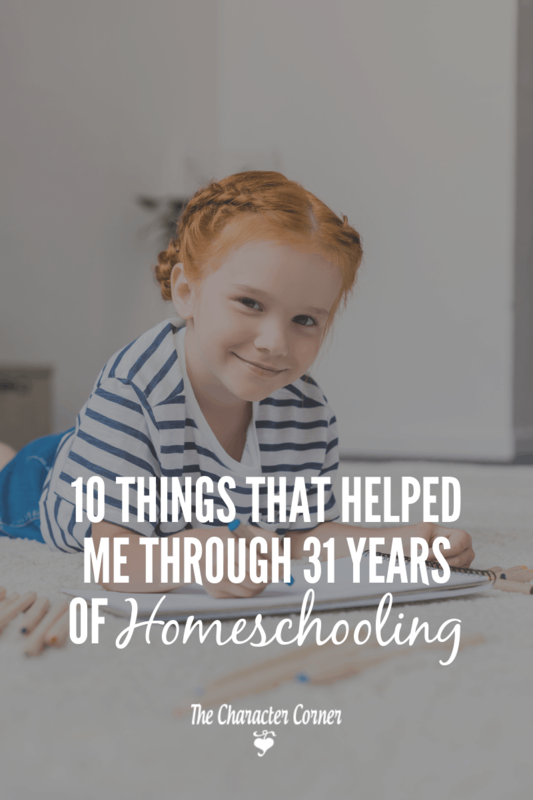 As a result, I was frustrated, until I realized they all had their own learning styles, and learned different subjects at a slower or faster pace than the sibling(s) before them might have. 4. 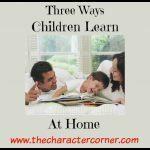 I taught my kids to be independent learners at a young age, and how to find answers. This took so much pressure off of me, and gave me the time to work with younger ones that weren’t able to read and work on their own yet. By the way, kids without character won’t be independent learners. They need character to work on their own, and be diligent. 5. The best planned days often don’t go as planned at all. Once I realized how often things happen to “mess up” the plans, it helped me to be prepared to just go with the flow, and be flexible. Kids get sick – and usually it’s on the day that you planned to get lots of school work done, then clean the house, and run errands. Take a deep breath, and adjust your plans. 6. Sometimes you need to put a subject or a topic from a subject aside, and come back to it later. Sometimes it just doesn’t click with your child, and they aren’t ready for it. No one says that you HAVE to teach them things at a certain age or time, or in a certain order. 7. When I’m in too big of a hurry to spend time with God, things start coming apart. I realized early on that teaching and training children requires much wisdom and strength from God. Without that time spent with Him, I would struggle with my own attitudes and spirit, which then rubbed off on the kids. 8. A loose schedule but a regular routine makes a huge difference. For example, when we get up we have breakfast, then everyone does their Bible reading, then we have a character lesson, then it’s time for academics. That way everyone knows what the routine is. If you are up late as a family and want to sleep in a bit later, it doesn’t hurt anything. You get up and follow the routine. A routine with a loose schedule works better with the academics, because it’s hard to really have a set amount of time for each subject daily. Some days Math will take 45 minutes because it’s a new topic, with lots of practice. Other days it will be review, and only take 30. There are also days where the child may not get it, and it will take even longer. Knowing they aren’t confined to a certain time frame relieves stress on them and you. 9. There will be days when you feel overwhelmed, and want to quit. There will be days when you cry. On those days, remember that God won’t ask you to do something you’re not able to do. Go to Him, and seek His wisdom. He wants you to depend on Him, and there is nothing that makes you depend on Him more than realizing that you can not do it on your own. Related: I WANT TO QUIT HOMESCHOOLING! 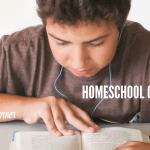 I don’t have to do what the other homeschool families I know are doing with their kids. I need to do what God has called my husband and I to do with our kids. For each of us, it may look different. Don’t try to do what every one else is doing. 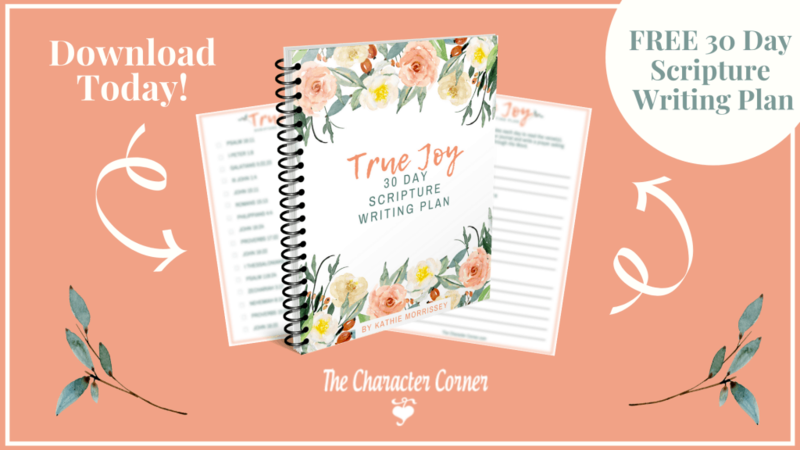 Comparison will put you on the fast track to a loss of joy in your homeschool! For more encouragement and practical homeschooling tips, grab this free ebook! 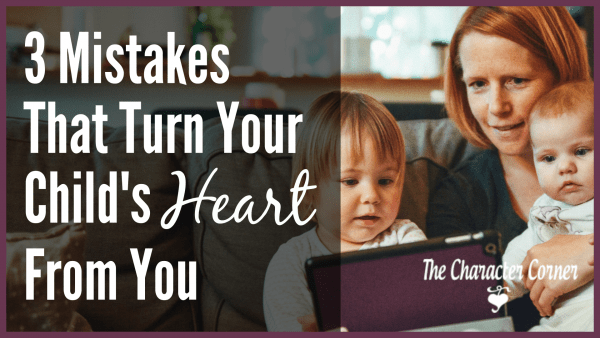 Some great encouragement and needed wisdom for homeschool moms! 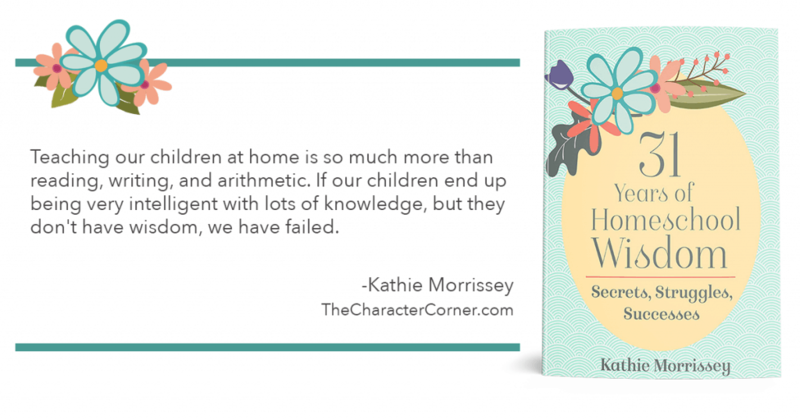 It is good to hear them from a homeschool mom with so many years experience! I’ve been homeschooling 12 years (7 kids) and I still need to remind myself of these things. Thanks for sharing your wisdom. Dad is just as important as Mom. Mom isn’t always the only or even primary home schooler, and the best way to alienate or lose Dads in the process is to assume Mom is pulling all the weight. Share amongst your home schooling groups how important your Husband is and how much he does in the daily academics. And thank him for it – daily – even if he doesn’t seem to be doing it your way. Just like students learn in different ways, parrents teach in different ways. It’s incredibly lonely when people assume Dad has nothing to do with it, that it is Mom’s project, that Mom does it all…that only Moms invite each other to get together and don’t even think about inviting Dads. I’m just guessing that your Husband had something to do with the whole process over the last 31 years – probably and especially in the area of building character in your sons. I wonder what his top ten list would look like. Or, how would your collective top ten list look? This is a good list. Thanks for sharing. I hope this doesn’t come across as mean – I’m just trying to be a part of the conversation – and movement – and if I offend I deeply regret the wrong choice of words. No offense taken. 🙂 I’m always happy to hear of dads that take a part in the parenting and homeschooling of their kids. Even if they can’t do the actual academic teaching due to their job, they can do alot to help in the teaching and training. My husband’s encouragement and help (with shopping, cleaning, kids, etc.) definitely helped in my making it through 31 years. I appreciate that. A lot. My delay in responding or even checking to see if you had responded was from a sense of not wanting to get flamed or hated on again. I’m glad I checked back! I’ve known of several homeschool Dads over the years, and I always wish they had a good network of other dads, like we moms do. It was nice, after one spelling bee, to have one of these dads and his son go out to Dairy Queen with the gang of moms and kids. Moms should invite dads along more often, in these group scenarios. That’s wonderful that you help. My husband doesn’t, but I’m OK with it. I like doing things my way lol. But he does cook and clean most of the time, so I guess technically he’s helping a great deal. It’s nice to hear things from a Dad’s perspective so thank you for your comment! Oh so true! I’m only 4 years in and I have learned many of these lessons already– especially that they have different learning styles and that plans never seem to work out as planned. It’s a constant process of US learning as we teach our kids, isn’t it?! such great advice, thank you! What’s helped me, in the 3 months I’ve been homeschooling, is knowing that even if my autistic child isn’t getting kindergarten this year, we have summer to try hard areas again. I’m also confident in my choice and don’t know how I let my oldest three children go to public school, I’ve hated the last 18 years. Yep from the beginning. My oldest is a senior and graduates this year and he will in a public school, by his choice. My 3rd child will be starting high-school next year and decided he wants to be home schooled! And my youngest will start kindergarten next year. I’m so happy I started kindergarten this year with my autistic son, because if I can teach him, everyone else will be a breeze. Though I’m going the easy route and they are attending a virtual school. But up until high school, you are the main teacher. My autistic son has ST, OT, Special Ed classes for extra help with writing, reading and math, and a social skills group with a couple of his peers and the school counselor, once a week for 30 minutes and that’s definitely something he needs. He also has a chance to have 4 30 minute live lessons with the two kindergarten teachers, and peers, each week. But the rest of it is up to me. I like the extra help and extra chances for him to be social. All of this has helped me realize I do really know what’s best for my children. The fact that when we had his IEP meeting, this new school found his old IEP laughable, made me know I knew what was best for him all along. They had him getting ST for 15 minutes once a grading period, because he could communicate clearly enough for them to function. I ended up having a ST come to the home to evaluate him and he had to have at least a 30% delay to qualify for services. Guess what, he did! So we had her coming once a week for 30 minutes and he made big improvements and quickly. All be needed was a little extra push. They had also cut his OT which was crazy to me because his behavior due to his sensory needs, was out of control at home because nobody ever tried to help me understand his sensory needs or hope to help him fill those needs. I was shocked to learn he had every sensory problem possible for an autistic child. So I just know I’ll never go back to public schools, unless at an appropriate age, they decide they want to go to public schools. I’m praying they never do! Thanks for posting this…I’m going to share it with my hubby via e-mail. We’re planning on joint homeschooling our kids in the upcoming years, so all info is incredibly useful to us. Hi Susie! Congratulations on 27 years. 🙂 I would agree with the points that you added! Thanks for your input. Thank you for sharing from your 31 years of experience! Well done, Mom and Dad! 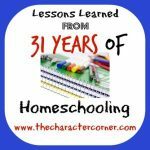 We have been homeschooling for 22 years. I have graduated 4 of my 6 children. One of the things that I didn’t see listed here is how to do the planning. We live in NY and our state requirements include quarterly reports. Some families have viewed this as a burden but I have actually been happy for the requirement. It has kept me on track with my paperwork. For myself, I always order my books in March, do our testing in April and then when I close out our school year, I also close out a binder for each of my children. Then I sit down with a calendar, planning pages and the new books. I do all of my planning the end of June, early July. When September rolls around again, we just start! You are right about plans not always going the way you want them to, but because you have plans, you can easily pick up where you left off. Also, an important part of our character training has involved chores and working together. I have had some of my best teaching and training times while we are working together. Thanks so much for encouraging me to keep pressing along. The Lord is good! Karen, those are great thoughts you shared! Thanks for adding some more valuable info. 🙂 Sounds like you’re doing a good well — keep up the good work! The biggest thing I’ve learned so far…I’ve only been doing this two years now…is there will be some days where everyone is having a bad day and nothing is going right. Put it all aside, go to the park, go to the beach, take a hike, have a picnic. Just get out of the house and don’t worry about academics! They can learn from that too. If nothing else they learn not to stress out over everything because it helps nothing and sometimes you need a break. Cindy, you are absolutely right@ Some days you just need to take a break! Love it. Great post, and comments – thank you! Do you have grandkids to dote on now? Hi Alice! As a matter of fact, I do! I have 10 grandkids to dote on. 🙂 I thoroughly enjoy it! Oh, my! So timely in my inbox! Thank you for your wisdom and encouragement. We follow a loose schedule, but I think we have room to improve on flexibility. I always feel like we have to start by 9, and I get kind of crazy about it. Thank you for sharing from your experiences! 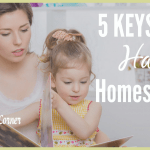 I think there is always more for me to learn as a Home school mom, even after twenty years. The balance of not stressing too much yet being diligent enough can seem overwhelming at times. Then again knowing how to relax enough but not too much has always been my greatest challenge. Ha. Becky, that made me laugh – only because I relate so well to trying to find that perfect balance. 🙂 And yes, we are always learning, aren’t we? Hang in there, and keep growing. This has helped me quite a bit! I haven’t started homeschooling yet because my son is just three but I like to read articles to prepare me for the future. I will definitely read this again in the before we start school! Thank you for the post. Hi Sarah! So glad to hear that the article helped you. You are wise to be preparing now for the future! This has been a very helpful and encouraging read. Could you please share some more on the character lessons? Hi Julie, I used different books with character lessons for our kids. I have also written a couple of character curriculums – Little Lads & Ladies of Virtue, and Lads & Ladies of Wisdom. You can find them in the store on my site if you want daily lessons that are fun and easy. I hope your heart is healing up. I have a question – is there a way to print out your blog posts easily and cleanly? I don’t always like to read on a computer screen, so I print out the articles and read on paper. I just printed this out and it printed all of the comments and took a lot of paper and ink. So, I was just curious if there is an easy print button that I am missing. Thanks Vanessa! It’s slow going, but I’m making progress. When I want to print a post, I highlight the content and copy into a document, remove the images, and then print.